Background/Info: If you’re a fan of ‘242’ this special “Deluxe Anniversary”-box strictly limited to 1242 copies definitely is an item you better purchase. For their 35th anniversary the band together with Alfa Matrix decided to re-release some of their albums plus a lot of extras, which you’ll find in this ‘box’. The bonus of this box consists of the EP “Politics Of Pressure” (1985), one CD with rare material and one more CD with live material plus some cards and other fan material. This album also was the first one featuring Richard Jonckheere (aka Richard 23) while Dirk Bergen had left the band. Richard 23 joined Daniel B., Patrick Codenys and singer Jean-Luc De Meyer. Content: “Geography” definitely remains a real EBM-phenomena, but “No Comment” would definitely place the Belgian ‘body’ masters on the international map of underground electronics. The songs were less experimental and more into danceable vibes. 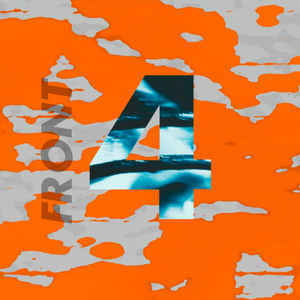 Front 242 also confirmed their fascination for icy sound textures while they created some controversy with their ‘military’ look and enigmatic songs like “S.Fr. Nomenklatura <1&2> and the later on released “Funkahdafi” originally released on “Politics Of Pressure”. ‘242’ never has been into fast rhythms, but into powerful sound treatments accomplished with the genius production skills of Daniel B. “No Comment”. This album revealed several hits and it is still pure magic to discover “Lovely Day” and of course “No Shuffle”. “Politics Of Pressure” was an essential maxi in history of the band as well. Songs like “Don’t Krash”, the already mentioned and tormenting “Funkahdafi” and the brilliant “Kommando <Remix>” simply became early hits of the band. 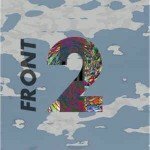 The next CD reveals live versions of a few songs and even a demo version of “Special Forces”, an alternative version of “Body To Body” and probably one of the first remixes, which was one of “S.Fr. Nomenklatura” by Acurack. The last CD is a live recording from a gig in Hamburg (Germany) in 1987! That’s the year the 3rd full length “Official Version” has been released. You here will get the opportunity to discover some of the most famous early EBM-hits of the band. + + + : “No Comment” is definitely one of the ‘242’-albums that might symbolize their sound the most accurate way. There still is this experimental touch through most of the songs and, which reveal amazing and visionary sound treatments, but it was definitely the album that made the band call their music EBM! The songs reflect such an impressive energy and powerful icy sequences. The vocals of Jean-Luc Demeyer gained in charisma while Richard 23 did great backing vocals –which is especially true for the live performances of the band. The main strength of this early material is that it sounds timeless. The extra fan material featuring old official pictures and other stuff in the genre is really cool. The artistic package of this release is again absolutely outstanding. – – – : Speaking for myself I regret the band hasn’t considered putting out some articles, reviews and a few words about this record. 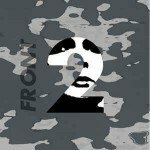 Front 242 were really shocking for a lot of people and there was a huge controversy about their sound and image. It would have been great to bring it back to life and especially when referring to a song like “Funkahdafi”. Conclusion: Great songs, great package, great band! “No Comment” and “Politics Of Pressure” both still sound very hot today, which simply proves the avant-garde and visionary composition of this unique band! Best songs: “No Shuffle”, “S.Fr. Nomenklatura <1&2>, “Lovely Day”, “Special Forces” + “Kommando<Remix>”, “Funkahdafi”, “Don’t Krash”.